Approximately 3,500 sq. foot lots. Sewer, Water, and 50/30/20 amp service, internet, cable tv on all lots. Many drive thru lots available. All pads are currently level with 1/3 of the park having concrete pads that open up in a 10x20 patio. Roads are 20 foot wide for easy driving and parking. 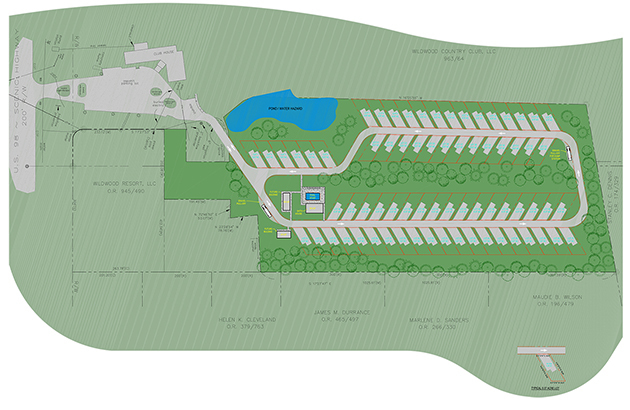 This complete package is a destination resort… one worthy of all type of RV owner’s consideration. 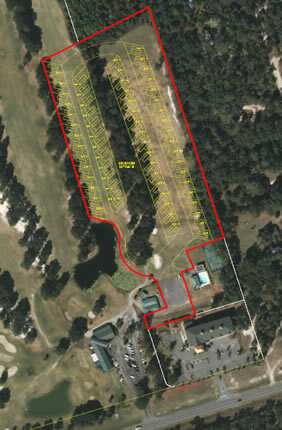 Most lots are approximately 3500 sq. ft.